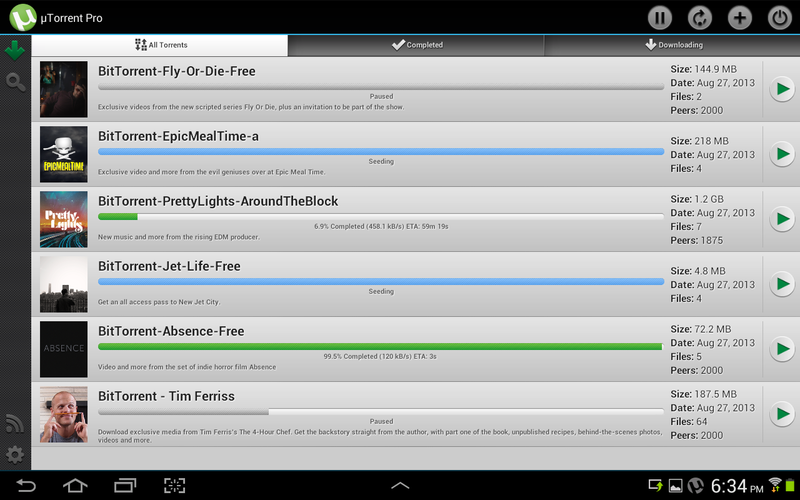 This is what I like to see in an Android monetization model: options. 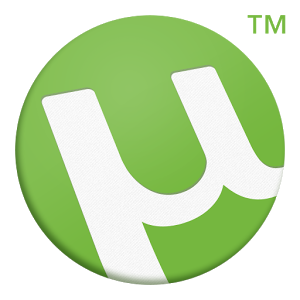 The BitTorrent company released a full-function version of µTorrent (AKA uTorrent or MicroTorrent) a little more than a year ago. 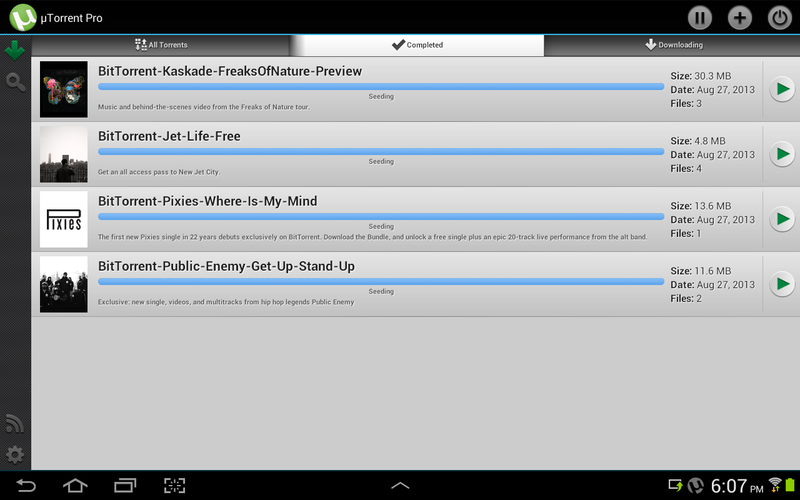 The beta app was free, but now there's a paid version that drops the beta tag in favor of a "Pro" label. The new app is $2.99 and includes all of the improvements made to the original app, with a little extra. The description says that the Pro version of µTorrent is ad-free. I don't doubt that, but I also don't see any advertising in the free beta app. Perhaps the older app will be updated with ads soon, or BitTorrent will drop the beta version entirely and add a new free version of the app. The description also says that the $2.99 price is introductory, so expect it to jump after a while. Useful features include a WiFi-only download mode, no size or speed limitations, and the ability to play at least some media files directly in the app. There's also a subset of the options included in the popular desktop version of µTorrent like specified download folders and user-set upload and download limits. The interface apes the desktop version as well, so don't expect a shiny Holo experience, but it's still one of the best torrent clients on Android.